A collection of illustrated books to add to your shelves! Books will ship on April 20th. Small run, Limited Edition of 125 books. Hardcover cloth bound with gold foil stamp, 6x6 inches, 60 pages. 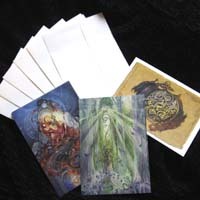 Each book is hand numbered and signed by the artist, and the limitation page has a unique hand drawn remarque in ink. Also part of this collectible edition and included with every book, is a specially designed bookmark of stainless steel and tassel, of a Fox. 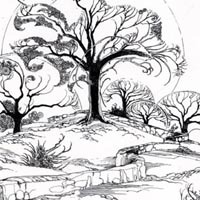 A whimsical story told in ink drawings, of the adventures of Fox & Floof as they journey through a dreamlike world that is filled with creatures from Chinese mythology: fox spirits, moon rabbits, world dragons, and phoenix. Let the iridescent lotus flowers on this inviting journal inspire the words you pen on the pages within. 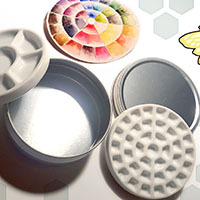 The book is softcover, 64 pages with 32 full page illustrations on 110lb paper, perforated pages for easy removal. 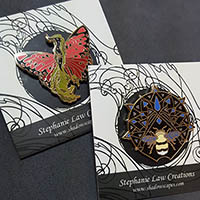 This bundle package includes a signed copy of the book, an 8x8 inch print of "Rosettes", an 8x8 inch print of "Succulent Rainbow", and an enamel collectors Succulent Dragon Pin. This bundle package book is signed and includes an 8x8 inch print of "Succulent Rainbow". This is the DIGITAL EDITION version of Succulent Dragons, which grants one use license for the pdf book. This book contains 69 illustrations for coloring. 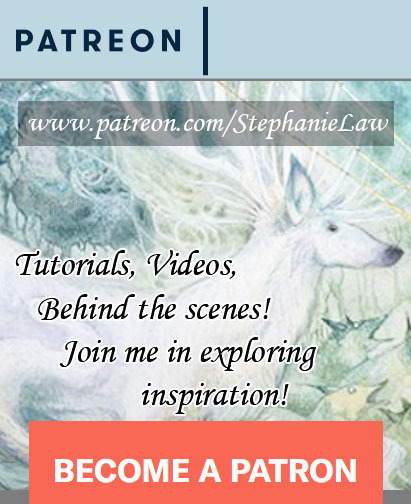 This is a 20-page sketchbook that lets you take a peek behind the scenes as Stephanie designs some character concept art. Softcover, 8.5x5.5 inches. Originally published by Shadowscapes Press, this book has been out of print for several years, but now a new softcover edition is available, published by Llewellyn Worldwide. 96 pages, full color, 8x11 inches. Featuring each of the 22 trump cards, along with text to accompany the images and ink illustrations created especially for this book. Followed by sketches of the development of each piece and insights into the symbols depicted, inspirations, and the lore behind them. An excellent companion to the deck kit published by Llewellyn! Please note: When selecting the \"Book with Sketch\" option, you will receive a hand drawn unique remarque sketch done by the artist on the inside front cover of the book. It will be drawn in ink. 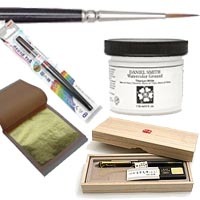 Please allow up to 3 extra weeks for shipment time for orders that contain a Remarque. 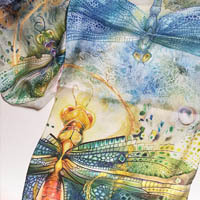 A symbol of transformation, the dragonfly has long inspired artists such as fantasy illustrator Stephanie Law. 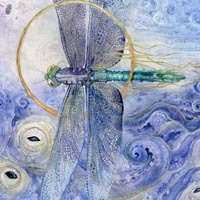 Let her gorgeous Indigo Dragonfly design inspire your own imagination! An intriguing blank journal features a cover illustration by Stephanie Law. Originally entitled Inner Workings, the design combines the intricate rules of physics with the wonder of living, breathing nature. Journal covers are illuminated with subtle gold foil highlights. An elegant ribbon marker keeps your place. 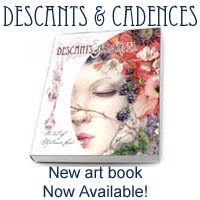 Descants & Cadences is a 128-page art book featuring work from 2012-2016: The Magpie series, The Stag Sonata Cycle, Insecta, Strange Dreams, Tales. Hardcover with dust jacket, 96 pages, full color, 8x11 inches. 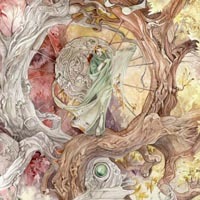 Step into the whimsical realms created by artist Stephanie Pui-Mun Law. She weaves a fantastical fabric of reality with her words and paintings. Spirits inhabit the trees and leaves and stones, and ancient dragons slumber beneath the hills. 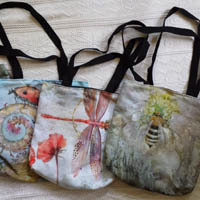 Between the Seams is a collection of over 100 pieces of her art, spanning the past decade, along with insight into the inspirations and wellsprings of her work. 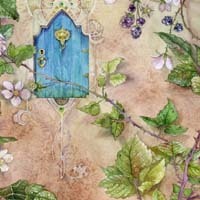 It is an invitation to delve Beyond, and it is a glimpse between the seams of our world, as well as of the artist herself. 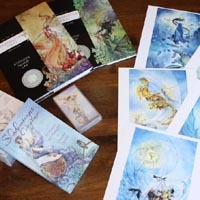 All copies sold through Shadowscapes.com are autographed. Hardcover, interior black and white, 48 pages, 8.5x11 inches. 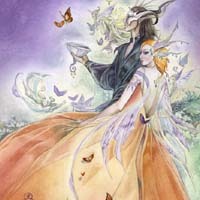 Such is the Way of the Faeries contains a forward by reknowned fantasy artist Larry Elmore, stories about the faeries of Thornwode Deeps by Thomas Moudry and Stacy Higgs, and fully illustrated by Stephanie Pui-Mun Law. 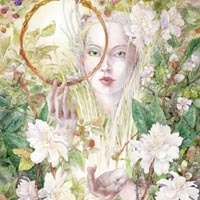 Her delicate pencil work depicts the wild faeries in this imaginative realm. Enter the world of Thornwode Deeps. 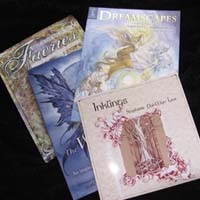 Purchased from Shadowscapes, your book will be autographed by the artist.